Pavel Tatarnikau was born in 1971 in Brest (Belarus) in the artists’ family. 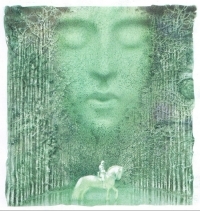 1995 — graduated from the Belarusian Academy of Arts (graphic department), Minsk. 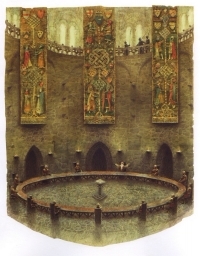 Since 1997 — the member of the Belarusian Union of Artists. Solo and group exhibitions were hold in Belarus, Lithuania, Poland, Russia, Ukraine, Serbia, Check Republic, Germany, Austria, Italy, Switzerland, France, Spain, Great Britain, USA, Japan, Taiwan. Associate professor of the graphic department of the Belarusian State Academy of Arts. 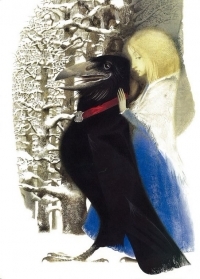 Award of the national Russian contest of book illustration «Image of Book» 2013 in nomination «The best illustrations in fiction» for the illustrations to « The Song of Igor's Campaign». 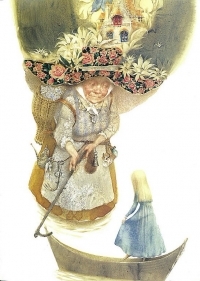 Award of the national Russian contest of book illustration «Image of Book» 2012 in nomination «The best illustrations for the book for kids and youth» for the illustrations to «The Princess in the Underground Kingdom». 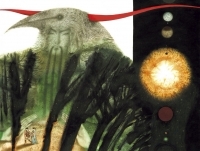 State Award of Republic of Belarus 2010 in literature, art and architecture "Golden Apple" award of the International Biennale "BIB'2009" for the illustrations to «Arthur of Albion». Bratislava. Slovakia. 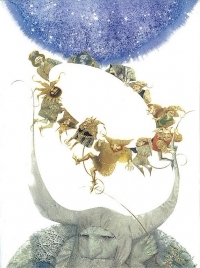 Gold Medal Winner of Moonbeam Awards 2008 for the illustrations to «Arthur of Albion». USA. Premium «The Best Illustrator of the Year» at the contest "The Art of Book". 2007. Minsk. Premium "The Best Edition of the Year" of the contest "The Art of Book' 2003". Minsk. Certificate of degree I at the contest "The Art of Book' 2002". Minsk. 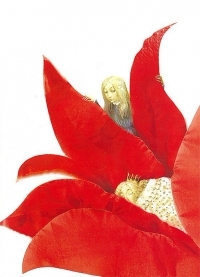 "Golden Apple" award of the International Biennale "BIB'2001" for the illustrations to «The Princess in the Underground Kingdom». Bratislava. Slovakia. Certificate of degree I at the contest "The Art of Book' 2001". Minsk. Certificates of degree I and II at the contest "The Art of Book". 2000. Minsk. Grand Prix of the annual exhibition " Artist and Book ' 2000 ". Minsk. The "PLAQUE of The International Golden Pen" of "The 40-th International biennale of illustrations Golden Pen of Belgrade". 1999. Belgrad.